Even in Church music, the smart phone app has its uses. Church music geeks compose and make music online as well as in real time, with human hands and feet and eyes and ears and voices. The phenomenon of the virtual choir (if you don’t know about this, google Eric Whitacre) has blown preconceptions about tying Church music to a particular time and place, sky-high. Whatever the virtues of real-time interaction (which are unsurpassed, and should never be discounted), as Church musicians we are now stuck with the digital app addictions of the upcoming generation for a long time. In cyberspace there’s an app for every task you can possibly imagine. Enterprising Church musicians design and market Church music apps, thereby solving their income problems forever. Apps help with a specific task, and can be uploaded to smart phones or computers quickly, and used immediately. For instance, I have a virtual piano keyboard on my iPhone that I use for composing. This is not an app marketing blog, but I believe in giving credit where credit is due. From time to time I’ll be reviewing Church music apps (e.g. ear training apps, chant databases, music theory apps) that I’ve found helpful and time-saving. Make your own judgements! Changing deep-set attitudes like this takes miracles. Hang on, Christians believe in miracles! If you have a music director that insists on making his and your job as difficult as possible by refusing to adapt to digital technology and app networking, or doing a go-slow on this,it might help to pray loudly and publicly about it. Accusations of “high-brow” elitism in Church music are often levelled at Anglican High Church (i.e. episcopalian or Anglo-Catholic) parishes in Australia. At the other extreme, the so-called “low” Anglican Churches of the evangelical persuasion, who have simplified their Church music repertoire in an attempt to increase congregational participation in Church music, are often accused of “low-brow” banality, or outright iconoclasm.This debate generally disguises the real issues. i.e. music costs and ministry time commitment. Small parishes cannot afford the luxuries of paid orchestras, professional choristers, or a pipe organ, no matter how much they want these. The fix-it-quick option for a cash-strapped parish with no hymn books, organ, or organist, is a limited hymn copyright licence, projected slides, and recorded music accompaniments. The longer-term option (and in the long run the more productive one) is a firm commitment to weekly Church music education for all ages. Parishes with internet access (not always the case in Australia) can organise hymn practice sessions easily, otherwise CDs can be used. The Royal School of Church Music provides Church music training resources, and many Anglican schools and dioceses, ethnic Churches and ecumenical associations organise Church music schools, camps and conferences. Since every Church is committed to providing a peaceful witness to Jesus Christ’s divine teachings and life, there is no mandate for Christians to bicker over selecting their worship music repertoire, or engaging in media beat-ups that gleefully escalate inter-church music squabbles. Obviously, different Church cultures and backgrounds will favour different, legitimate Church music repertoires, and there is no harm in this. Church music governing organisations, Church schools, and parish music directors are charged with ensuring that Church music in Australia is well composed and performed, that it proclaims Christian teachings, and that it is well integrated with worship. In Western Sydney, it is not uncommon for 40+ different languages to be spoken in one Church parish, but in the interests of preserving Church unity, congregations still manage to learn and sing a core repertoire of English hymns. Annual, monthly, or weekly monocultural liturgies, and special feast day celebrations, fill the need for each cultural group or faction to perform and hear their own Church music in various locations, but there is also an unspoken hospitality rule, by which an invitation is always extended to visitors from other cultures to attend and observe ethnic or denominational liturgies and music, where they are treated as honoured guests. By visiting all parishes, and not indulging in excessive partiality re music genres within their diocese, clergy and Bishops can exert a considerable charitable, pacifying influence that promotes unity in Christ, even where differing music repertoires, doctrines and texts tend to divide. The strongest unifying force for any diocese is an authentic Christian witness, where Church people join in caring pastorally for those in need. When peaceful Christian work of this kind takes priority, Church music repertoire issues are often reduced to their proper perspective. The Great Aussie Church Music Cringe . . . This online lecture, although it refers mainly to contemporary secular Australian art music composition, is also relevant to Church music in Australia. I love classical Church music, and I support maintaining a CORE repertoire of “traditional” Anglo-European Church music. But I object to the way non-Australian Church music repertoires have been imposed holus-bolus on Australian Church communities, often without their consent, just when a new crop of Australian church music composition was taking off. Imposing this overseas monopoly has stifled Australian Church music, and created a musical generation gap in many parishes that impedes religious education. The practice of culturally gagging Aussie congregations and ordering them to worship God with second-hand imported music is damaging. The fact is, imported Church music repertoires, however excellent or cheap, come from a different time and place and population. Although we may empathise with and appreciate non-Australian musical expressions of Christian faith, it is impossible to reach the deeper communal levels of faith as Australians living in Australia, unless we worship God directly with our own unique Australian music, that comes from the heart of Australia. Much of our Australian Church music (from such tiny colonial churches as the one pictured below, at Greenough, Western Australia) still awaits collection, or is stored in the Australian National Library in Canberra, awaiting re-discovery and re-publication. A survey of just how many Australian-made compositions are included in Australian Church music repertoires and licensing lists is badly needed. Editing out or minimising local Australian compositions from our repertoires degrades, and may destroy, our living, dynamic, developing, inherited tradition of Australian Church music. Australians who attend Churches are often musical, and many have brilliant musical concepts, ideas and creations, which are expressed and sometimes briefly admired, but their work is seldom promoted, simply because the composers are local, Australian, and therefore seen as unimportant. Promoting a token number of Australian Church music composers is seen as an acceptable and easy solution, but why should the majority of Australian Church music composers be relegated to oblivion, in preference to a privileged few? Typical Church music repertoires in Australia include only 5% of Australian Church music compositions at best. Overseas visitors expecting to find a flourishing local Church music repertoire find this extremely odd. The percentage could easily be increased, as many new Australian compositions are available, but those responsible for music selection are often in economic thrall to corporate or monocultural giants rather than obedient to Christ and eager to promote local faith development through local Church music. 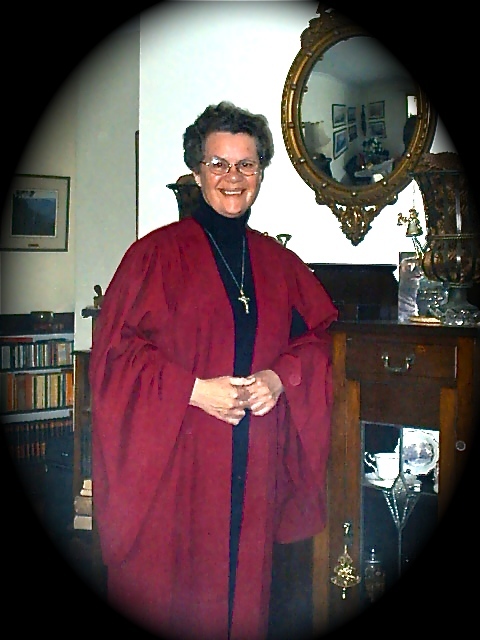 If there is an Australian Church music composer (age is irrelevant – the young have no monopoly on expressing faith in God’s Kingdom) in your congregation or nearby, you should seek them out, encourage them to continue composing, listen to / workshop their music, and arrange for it to be included in church services on a regular basis, with the usual royalty payments that all overseas composers receive. Ask your local composers to compose “lite” versions of their music, and publish them as audio tracks and .pdf lead sheets, for online purchase. Purchase these and play them as background tracks at parish parties, with distributed lead sheets, to spread the word and familiarise parishioners with the tunes. Research your local Australian Church music, and compile a local Church music list for family and church group services. You may be surprised at the quality of the compositions you find, and its morale-boosting effect on your congregation.